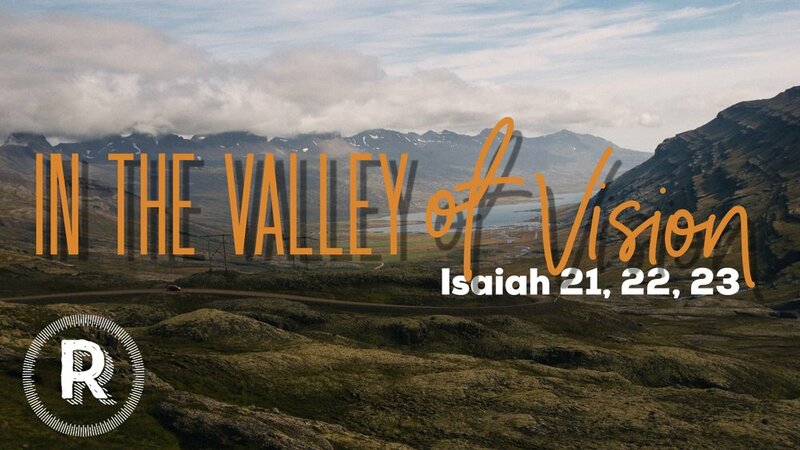 Sunday we move into the Valley of Vision in Isaiah 21, 22, 23. Join us for worship at 10 am at 2437 S Centre City PKWY in Escondido. Youth Lunch - Sunday, February 24 right after service. For students, 5th through 12th grades! We will eat pizza, play games and talk about what’s to come for Reservoir youth. Bring $5 to cover lunch if you can. RSVP and adults interested to help, sshradar@gmail.com.